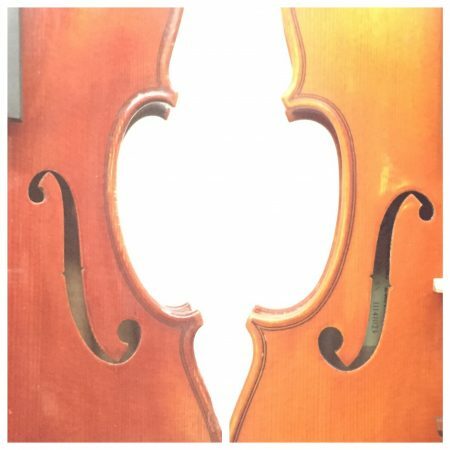 Have you ever wondered why so many violins have labels inside them that say “Antonius Stradivarius”, usually accompanied by a year in the 1700s that has nothing to do with when the instrument was actually made? In the violin-making world, two names reign above all others: Antonio Stradivari and Giuseppe Guarneri. Almost every violin ever made (and certainly every mass-produced one) is modeled after one of these greats. Stradivari is the most famous, and the most copied. For centuries now, violinmakers have been trying to replicate the graceful curves and bright tone of the Strad, down to the most minute detail. Others prefer the Guarneri model, with it’s deeper sound, it’s slightly shallower C bouts and elongated f-holes. What makes the two models similar, besides their agreed-upon greatness, is that both Antonio Stradivari and Giuseppe Guarneri lived in Cremona in Northern Italy, in the 1700s. Though Stradivari was about 50 years older than Guarneri, their lives definitely overlapped, and their craft rivals only each other. It is certainly possible that the two were using similar if not the exact same materials in the crafting of their instruments. This article, from the New Yorker, talks about the newly-discovered chemical compounds found in the woods and varnishes the two masters used, and how this new discovery may answer the centuries-old question of what made these two makers’ instruments the pinnacle of quality. To answer the label question, though- don’t be put off by the attempt to “fool” you with that false name. Generally the “Antonius Stradivarius” label you find in non-actual-Strads are really just telling you that your instrument was modeled after one of the greatest ever made, and that’s as close to a Strad most of us ever get.